I’ve been working as a talent agent with creative freelancers for many years, and would like to share some insights on why clients could - and should - consider freelancers as an option, and how they really add value! Freelancers know the score, having worked with a variety of different studios, agencies, personalities and workplace cultures. Not caught up in office politics or other dramas - they basically get in there and just get the job done. If they’ve been working as a specialist, this is where you really get the value! By getting different freelancers in for niche skills and project based assignments - you’re working smarter and really maximising the best use of the available talent out there. Seasoned freelancers are good at what they do. Really good. They are used to high pressure environments, tight deadlines and frazzled studio managers! Let’s face it, they’re rarely required when the client doesn’t have an urgent need and/or large workload. They're efficient, accurate, can follow a brief and know their way around shortcuts, quick keys and other geeky mojo! Yes, you usually pay a higher hourly rate for the availability and flexibility of a freelancer for an 'as required' basis. BUT remember you only pay for the hours of work completed – not paying a salary for an employee sitting around for weeks on end if the workload is slow – and as we know in the creative world it can be boom or bust! Remember the freelancer also needs to charge a fair rate as they don’t get the job security the perm staff do - and once they accept an assignment they might have to turn down other work as a result. Before balking at the hourly rate look at the ‘big picture’ cost and the savings – can you afford not to have this resource? 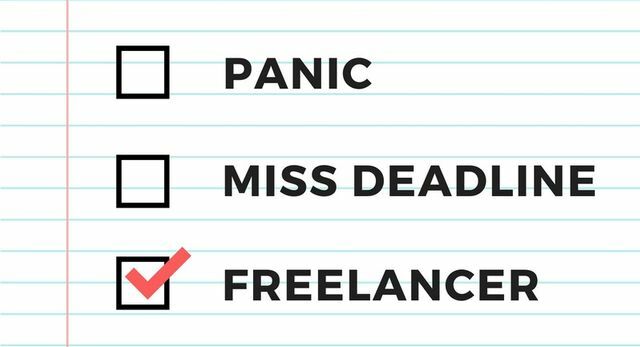 The beauty of a freelance option is it helps you decide what you might need in terms of skills on a long term permanent basis, and if you love your freelancer and vice versa - it could be a match! Most work places at some stage get stuck in their ways to one extent or the other, and sometimes a fresh pair of eyes can point out something not thought of earlier; a more efficient system that can be used, new ideas and energy. More than likely they've been in a variety of work places where things are done in many different ways and can offer some good practical tips based on that experience. That's it for now, catch you next time!